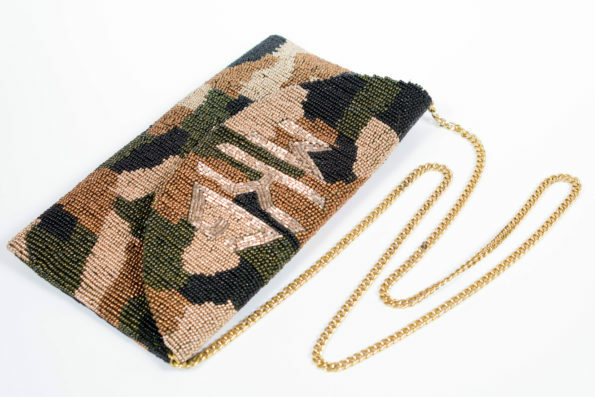 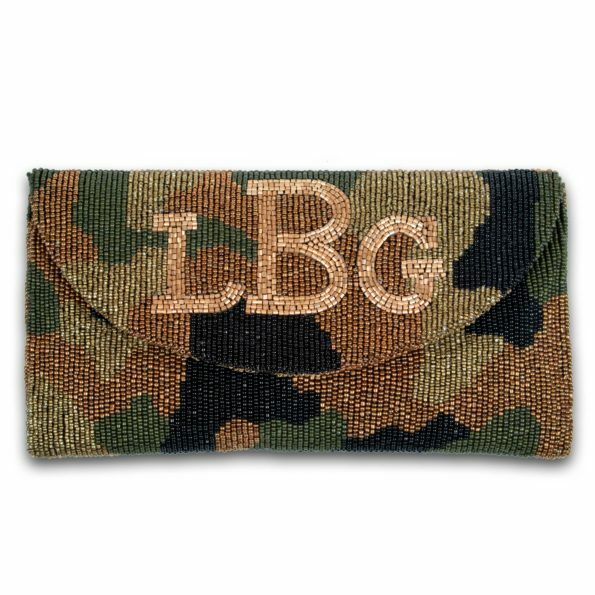 Crescent Flap Custom Beaded Camo Monogram Clutch – customized with your Monogram, Initials or Name up to six characters. 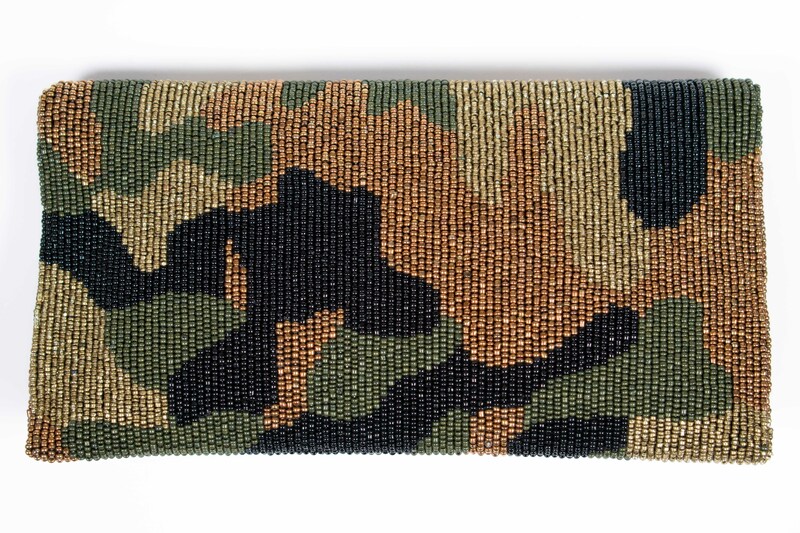 Clutch measures 9 1/4 ″ wide, 5″ tall and is large enough to carry all sizes of the iPhone and other evening essentials. 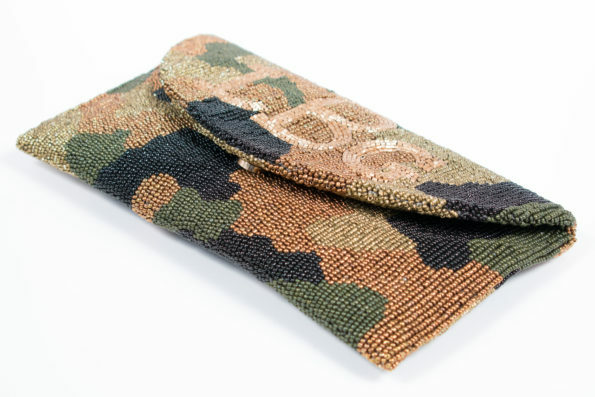 Satin-lined with a small pocket for credit cards. Clutches shown here feature Antique Gold & Shiny Gold Monograms. For Diamond, Circle or Script Monogram, enter your initials in this order: first – LAST – middle. 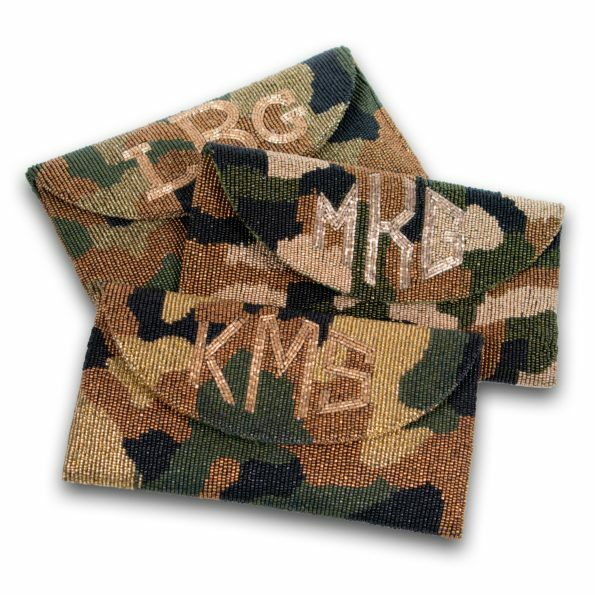 For INITIALS or Text, please enter exactly as you wish it to appear. Entry is case sensitive. 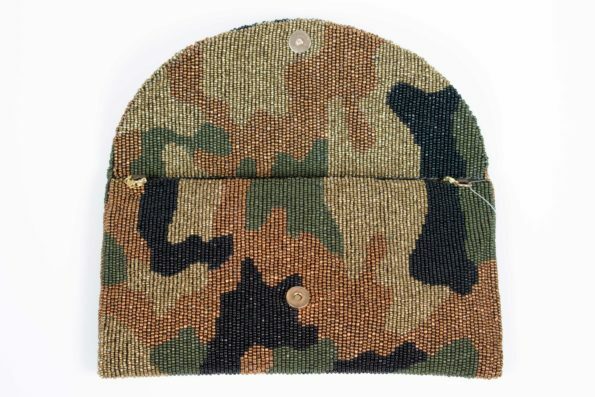 Max 6 Characters.